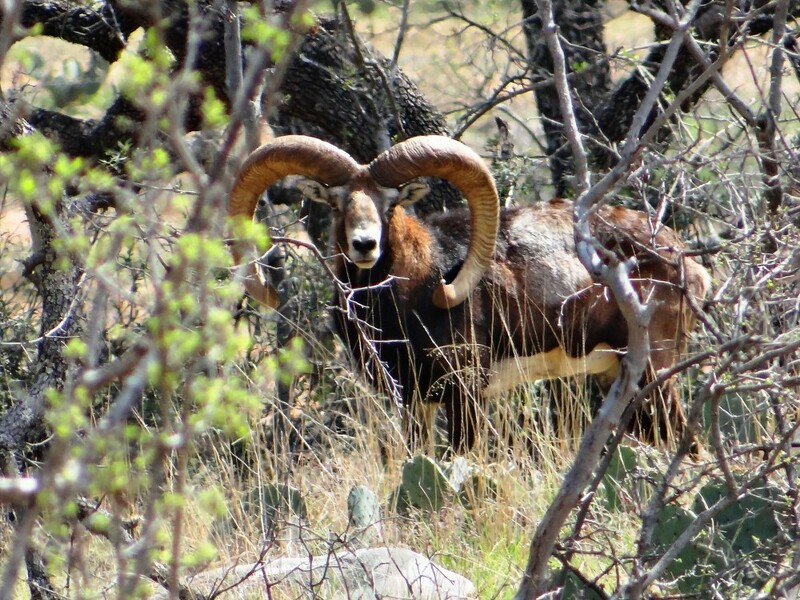 Trophy Mouflon Sheep were once common to Texas ranches. But through hybridization, find truly pure mouflon are rare. They are a small bodied sheep originating in southern Europe and now spread across the continent. Rams will get a dark red coat with a black mane and a white patch on their side. A true purebred will have a heart shaped horn with the tips curling around toward the face. We started our herd from tremendous genetics and our rams are still mostly relatively young. Hunting will be somewhat limited until they mature. But they will be worth waiting for as you can see from the photos.